About the theme: The path of all beings does not have a beginning or an end. Instead, each of us follows a cycle that renovates itself effortlessly. We may say we are recycled material from our parents, grandparents, great-grandparents, and fore-bearers, which in turn are manifestations of our more distant ancestors. 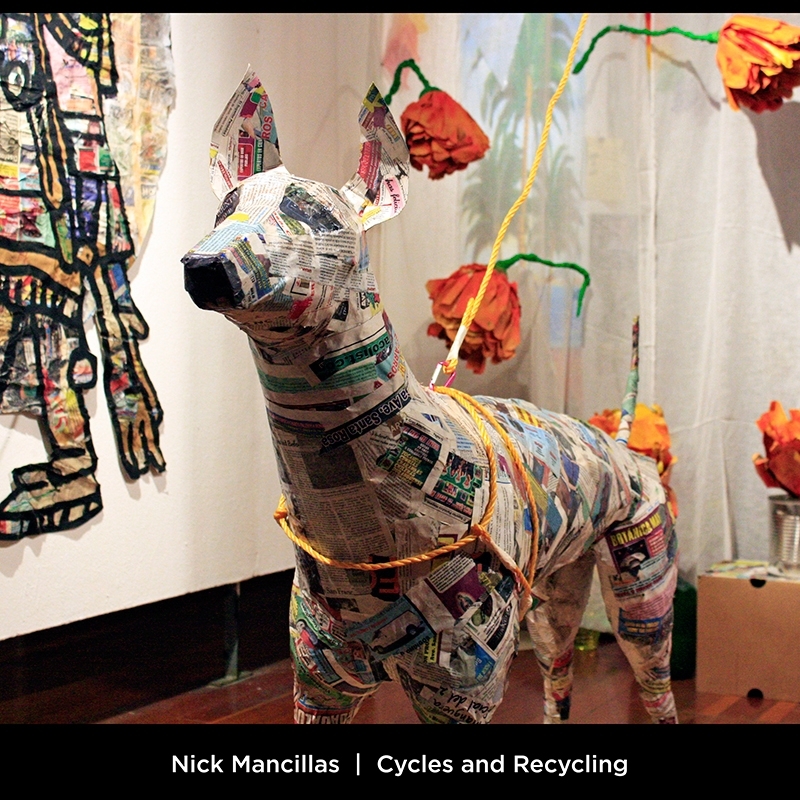 “Recrea, Renueva, Reusa: Un Ciclo Infinito” is a loop of existence that recycles itself. 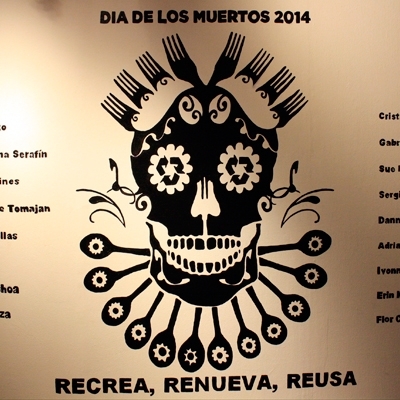 For our 2014 Day of the Dead exhibition, MCCLA wants to explore the themes of Recreate (Recrea), Renew (Renueva), and Reuse (Reusa) as unavoidable cycles in our lives. I consider my installation to be a contemporary/ conceptual artwork that depicts the critical sociopolitical issue of child migration. 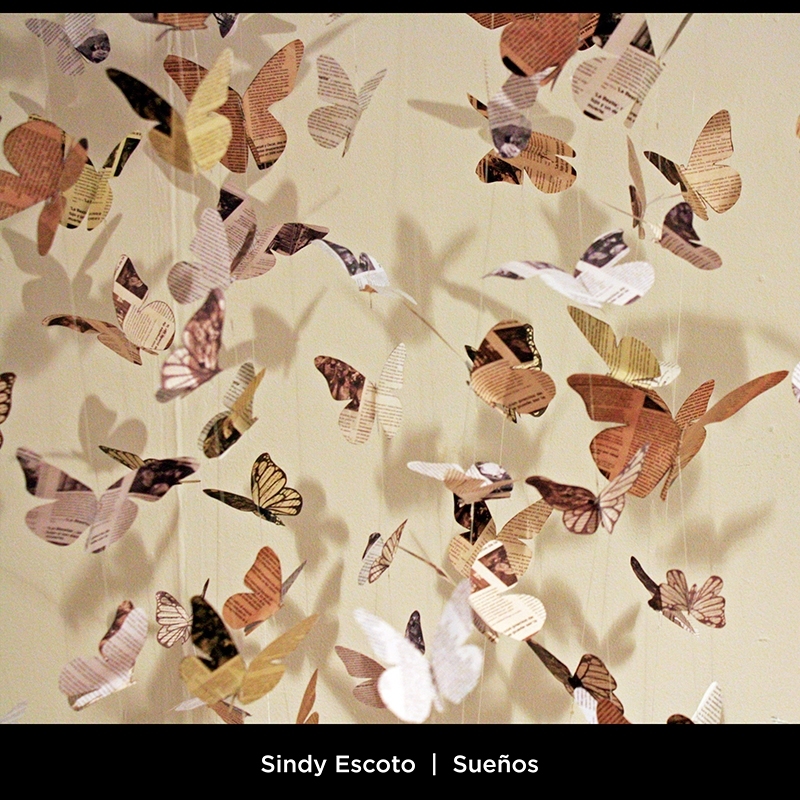 The butterflies are made from clippings of newspaper reports of migrant children who have died or disappeared on their journey to the United States from Mexico and Central America. This ofrenda is dedicated to the more than 500 Palestinian children that were killed during the months of July 2014 and August 2014. 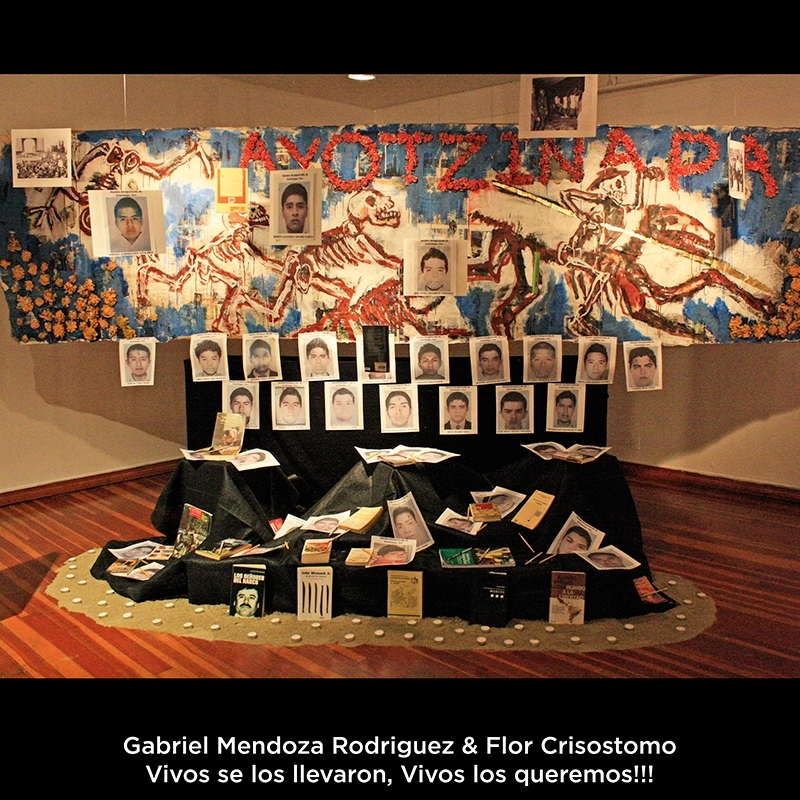 This ofrenda is dedicated to the people that died in the streets of Chile during the dictatorship of Augusto Pinochet, especially to those that used walls to denounce the daily horrors lived during that time. 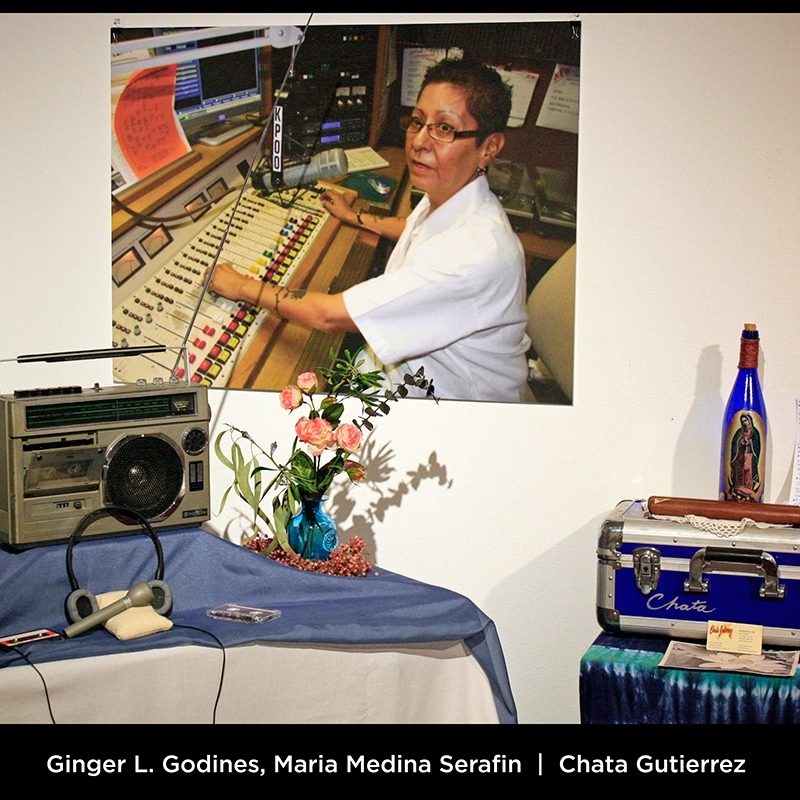 Chata Gurierrez spent much of her time at the San Francisco radio station K.P.O.O. 89.5FM. There she consistently programmed and produced the award-winning salsa music program, "En Clave" for over 40 years! Every inch of the sculpture is covered in receipts of purchases that come to a grand total of nearly 20,000 dollars’ worth of consumer goods. 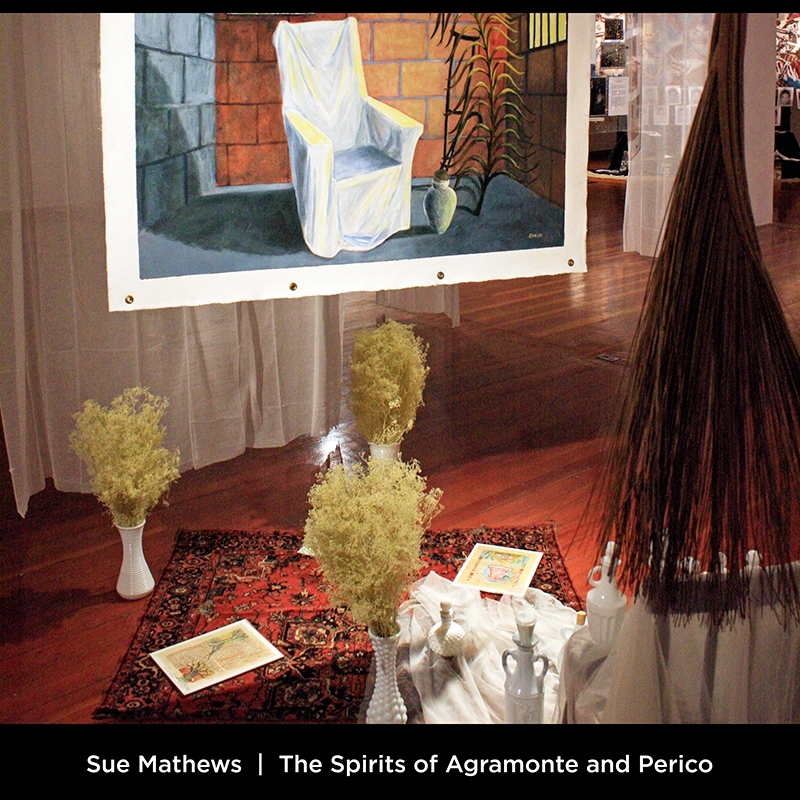 This altarpiece serves as an exploration and asks us to question: To what degree do we become what we consume? The Aztec hairless dog named Xolotlzuintli plays an important role in the transition of death to rebirth. 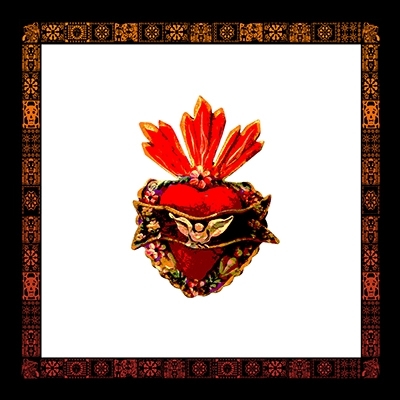 After death, it is believed that Xolotlzuintli will guide you for seven years until your ultimate rebirth. This sculpture was made of newspapers. 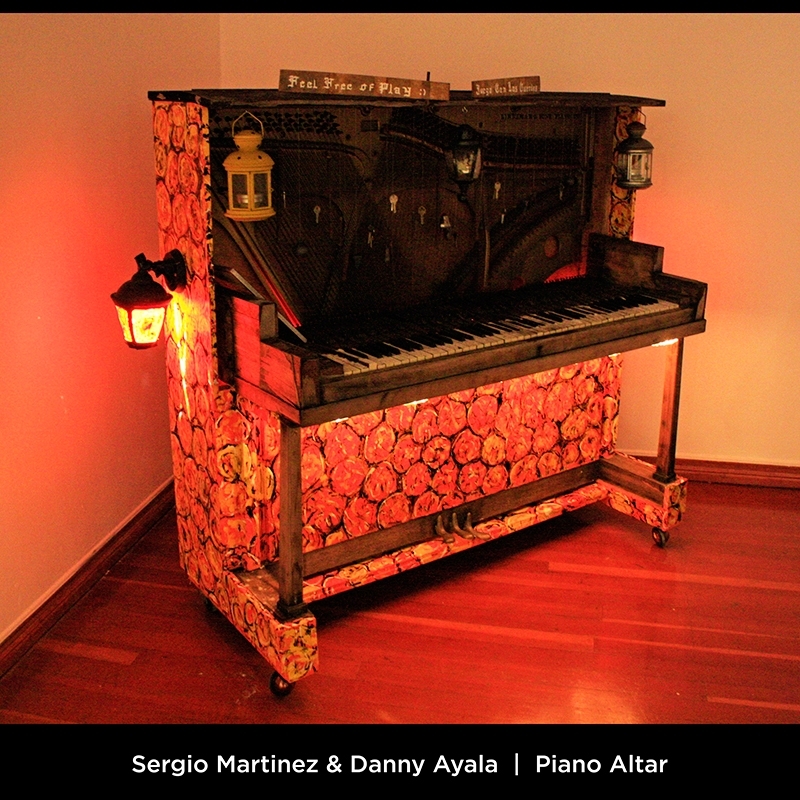 This piano altar is tribute to my grandfather who used piano as the medium to express his love for tango. 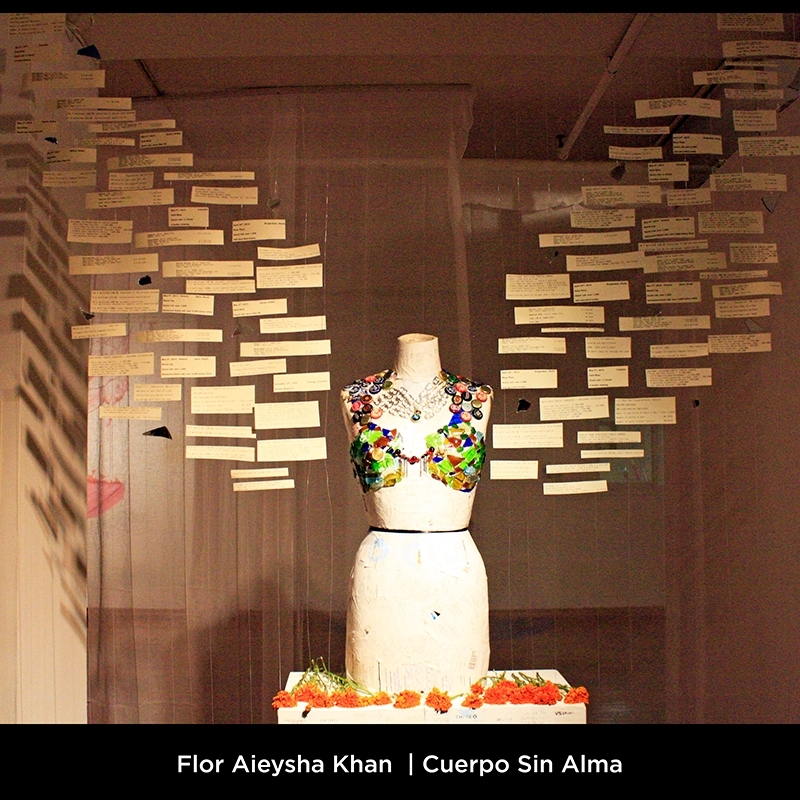 We decided that the whole piece must be made out of materials found on streets and flea markets all over Oakland, CA in order to recreate and in some way recover the poetry and beauty of those forgotten notes. In the towns of Perico and Agramonte, Provincia de Matanzas, Cuba spirit altars and shrines have been maintained since the transatlantic slave trade. Gabriel Mendoza Rodriguez & Flor Crisostomo | Vivos se los llevaron, Vivos los queremos!!! In memory of all the students that are missing, that were tortured, and were massacred by the Mexican Government in the following two Incidents: Oct. 2, 1968 known as The night of Tlatelolco, Mexico. 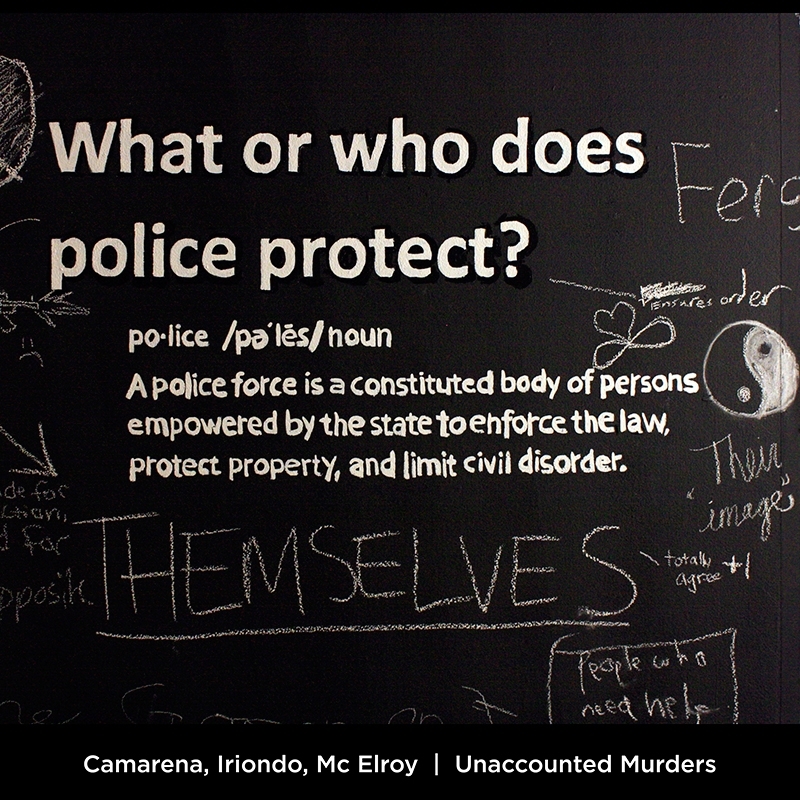 Sept. 26-Sept.27, 2014 at Iguala, Guerrero. Mexico. 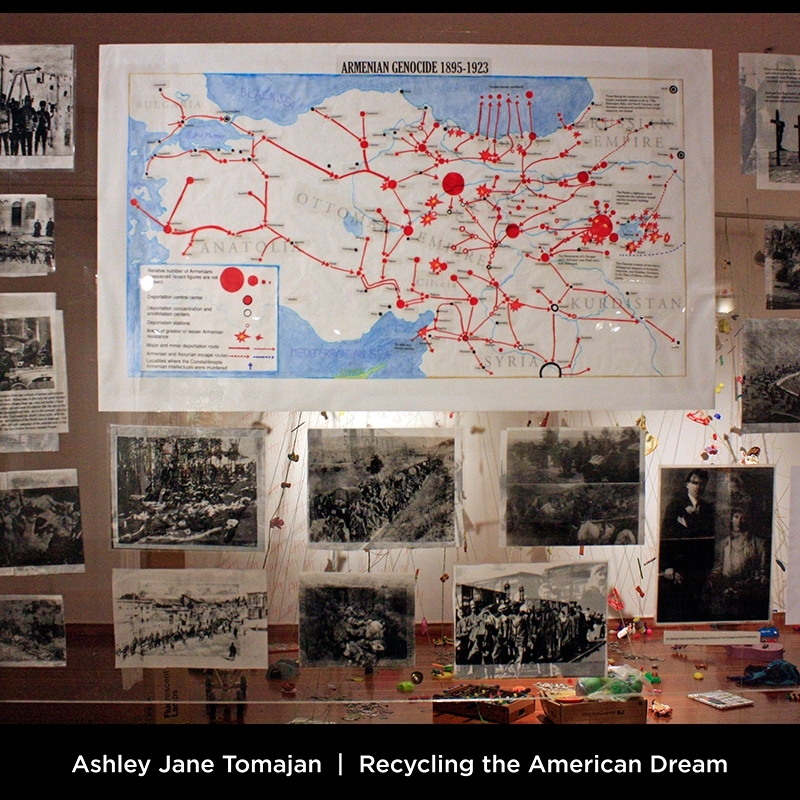 This piece is a historical retrospective where one side tells the story of the Armenian ethnic cleansing endured by my maternal kin, and the other side illustrates the account of my maternal ancestors during Volga German genocide. The historical heritage concerning our presence in this life leads us to believe that we are part of an infinite loop. Now we call it recycling taking hold of the past we face our present to leave traces in the future. Many participated in the process of realizing this altar. 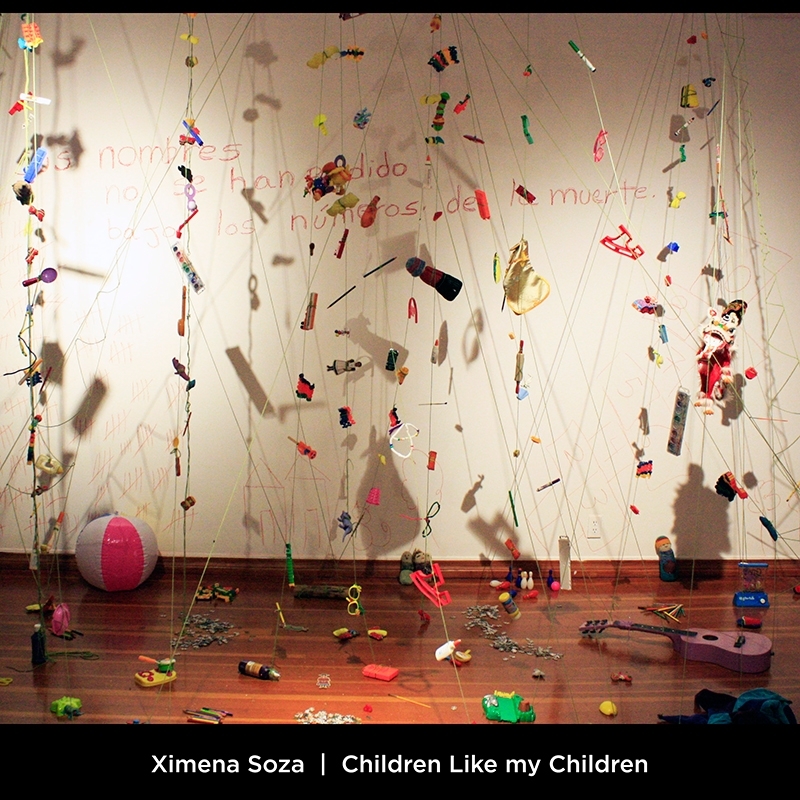 The work was ardous 57 children and 52 adults worked for approximately 469 hours. People proud their past, remembering where they came from and that the challenge is now in this place and at this time. 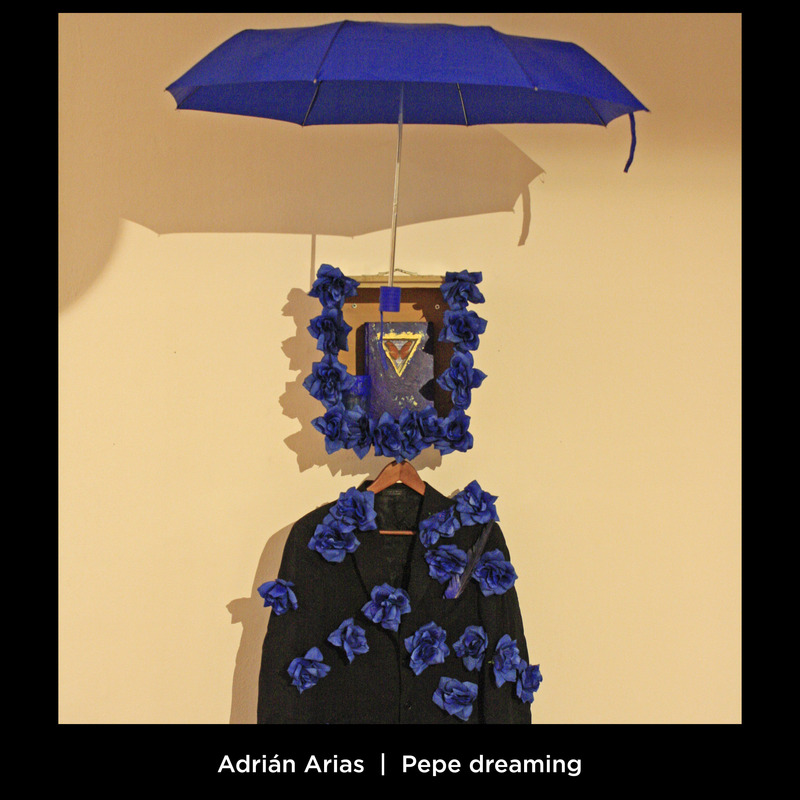 Altar-installation honoring the memory of Argentinian visual artist-provocateur Pepe Ozan. One of the most influencial artists in the installations at Burning Man in the past two decades. 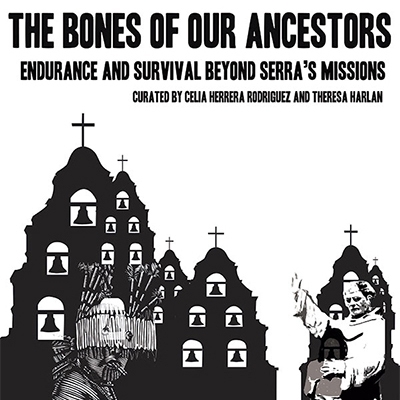 This year’s exhibit will create an inclusive and celebratory space for artists and community members to reflect and mourn on the death of “La Mission” we used to know and experience, as well as the renewal and current changes that the local community is facing. 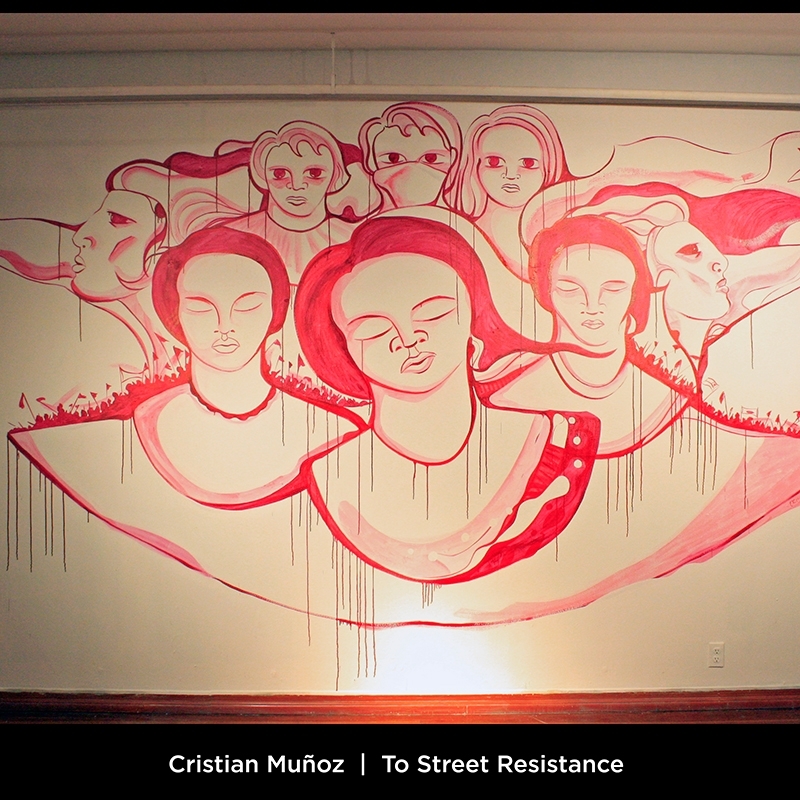 Mission 2.0 – Linette Morales and Claudia Arenas. 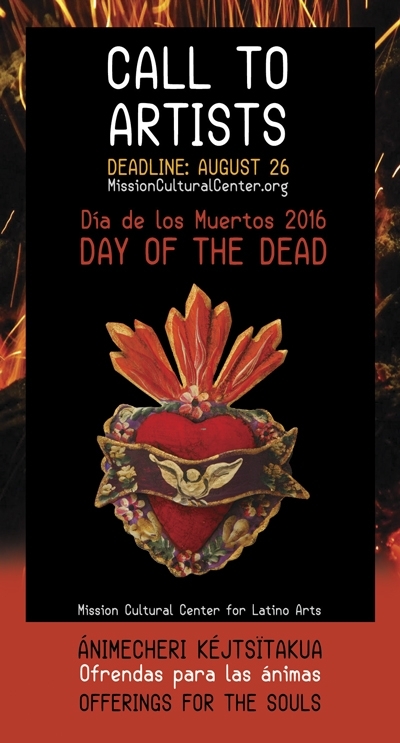 The Day of the Dead is a rich and vibrant celebration within the Latino community and MCCLA has a long history of calling upon the dead in the months of October and November. This year’s exhibition title is Death on installment plan • Muerte en plan de pagos. 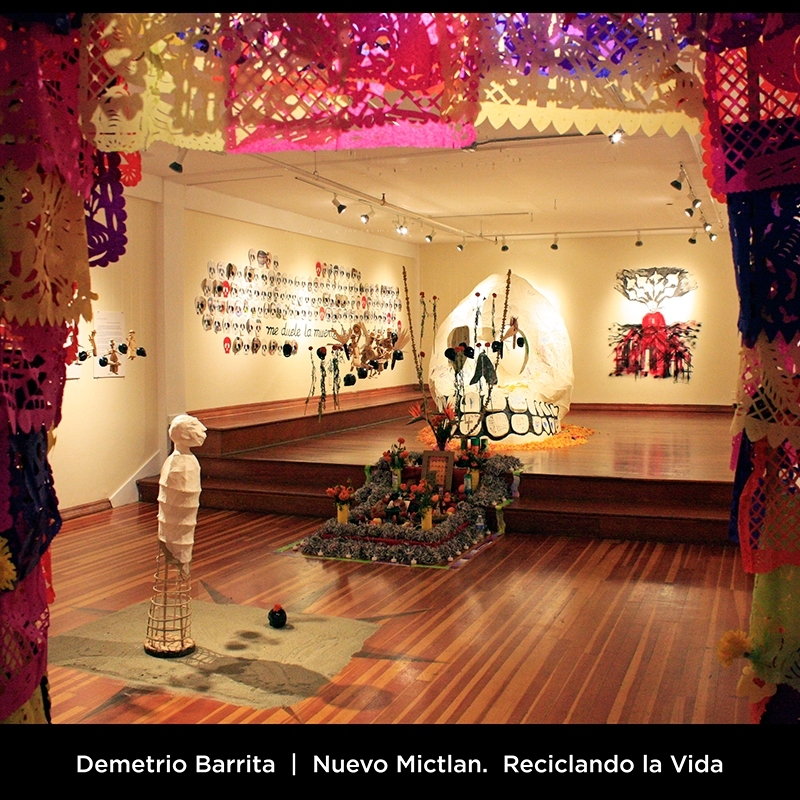 Through a visual journey of folkloric and contemporary altars, Death in Parallel examines el acompañimiento, the accompaniment of the dead in our everyday lives. A whisper, a fleeting shadow lets us know they are here with us. Other signals are close at hand, but how open are we to acknowledging the presence of our ancestors? 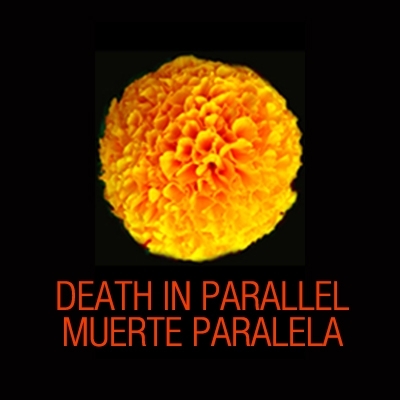 Death in Parallel explores this relationship, which eyes open or closed, remains an intimate one. 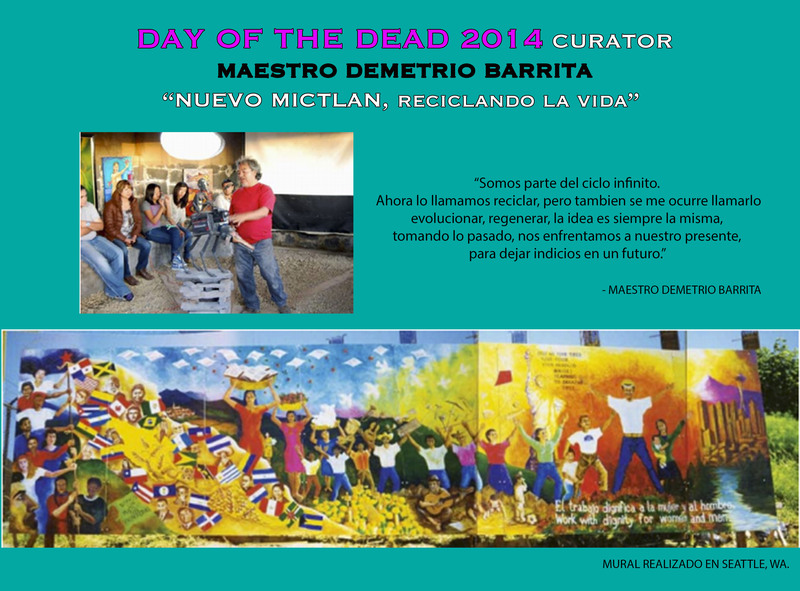 With the creative presentation of stories, photos, home video and personal artifacts, MCCLA continues our participation in a rich and vibrant tradition within our Latino community to call upon the dead as we remember and honor our loved ones. A través de un viaje visual de altares contemporáneos y folklóricos, "Muerte Paralela" investiga la presencia de los muertos en nuestra vida cotidiana. Un susurro, una destello fugaz nos indica que están con nosotros. Hay otras señales cercanas, pero ¿qué tan abiertos estamos para reconocer la presencia de nuestros antepasados? "Muerte Paralela" explora esta relación, que con ojos abiertos o cerrados, se mantiene íntima. 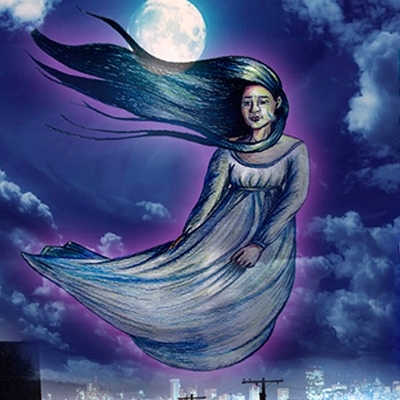 Con la presentación creativa de cuentos, fotos, videos caseros y objetos personales, el MCCLA da continuidad a su participación en una tradición vibrante en la comunidad latina de convocar a los muertos mientras recordamos y honramos nuestros queridos antepasados. 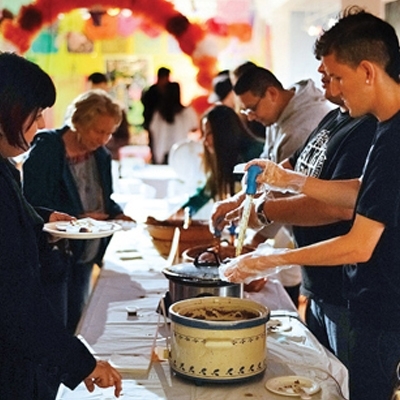 The celebration includes a sugar skull demonstration, Danza Azteca, Mixtizo performance in the Theater, Pan de Muerto y chocolate, mask making, and more. residence from October 11 – 28.
and other beloved Latin American favorites. Come at 1pm for pre-concert entertainment and art in the Davies Symphony Hall lobbies, including Mexico-based artists from Lapiztola in collaboration with the Mission Cultural Center for Latino Arts. Click here for more information about Dia de los Muertos at the SF Symphony! MCCLA thanks all our "MOLE TO DIE FOR / MOLE PARA MORIRSE" participants and contestants. Thanks to the judges, the MCCLA staff and volunteers!